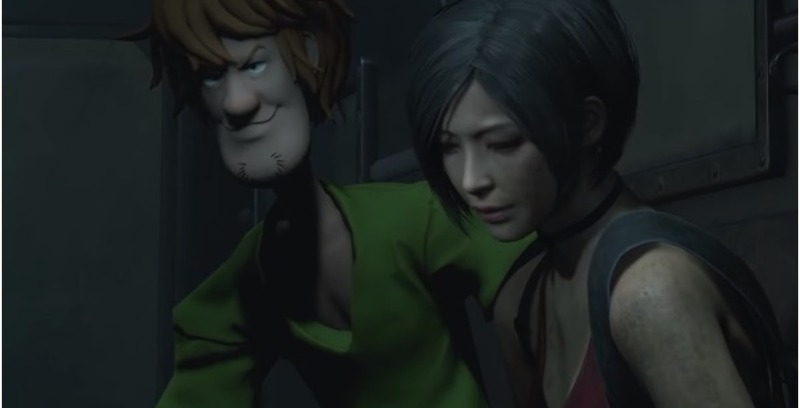 Would you rather fight one Mr X sized Shaggy or 10 Shaggy sized Mr Xs? I want you take a moment to consider that question very carefully, then entirely disregard it because it has nothing to do with this article. 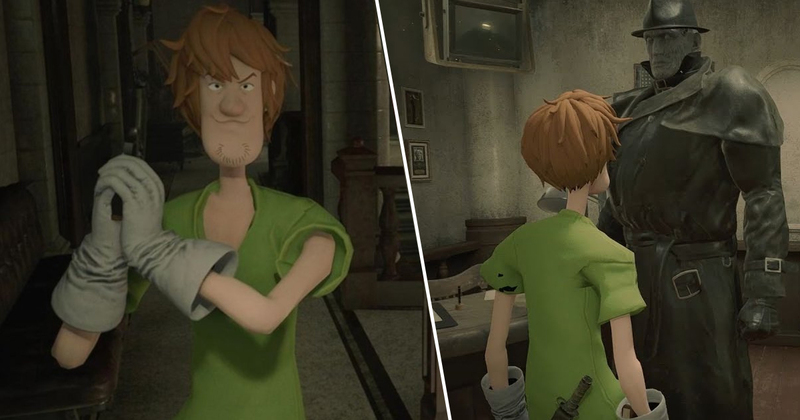 While we’ll probably never see either of the above in our lifetime, one brave modder has extracted rookie cop Leon Kennedy from the mean streets of Raccoon City in Resident Evil 2, and replaced him with Shaggy from Scooby Doo. You know, because of that meme. Cry out “dead meme” all you want kids, I’ve still got to write this thing. You’ll no doubt be aware of the Shaggy meme and the way it paints the famously hapless stoner as an all-knowing, all-powerful force to be reckoned with. He’s already been put into Jump Force, and there was a very successful petition to get him in Mortal Kombat 11. The Shaggy we see in Resident Evil 2 (God forgive me) is clearly only using a small amount of his power, but it’s enough to deal with the monsters that dwell within Resi 2. The detective can fire explosive energy from his hands, making him more than a match for the decaying denizens of Raccoon City. Given these incredible powerful levels, the mod has attempted to ramp up the challenge accordingly. Instead of being pursued by one Mr X, Shaggy must contend with ten of the hulking, trench coat wearing super mutants. You can check out the mod in action below, courtesy of BeastGamingHD. The modding community has been churning out some outstanding work for Resident Evil 2 on PC. In addition to the above, we’ve seen some inspired musical mods that make great use of Mr X, as well as one deeply unsettling piece of work that puts Mr X in a a terrifyingly skimpy thong.